On the 19th of June 2010 in Nijmegen João Carlos da Silva (Contra Mestre Macumba) and his students founded Associação Brasileira Capoeira Reversão. They felt the need to create a system where the fundamentals and the philosophy of the group are based on the experience and expertise that Contra Mestre Macumba has had within his 25 years of capoeira. 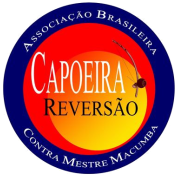 Capoeira Reversão comes from a fusion of various important schools. With these experiences and having the support of Mestres, Contra Mestres and Professores, Contra Mestre Macumba decided to fund his own group. 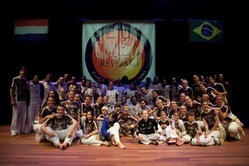 Capoeira Reversão teaches all over the Netherlands. We also have a group in Sicily, Italy. We are very honoured to have Claudio Antonio da Silva (Mestre Claudio, responsible for Dandara Cordão de Ouro in Campinas, São Paulo) as Padrinho (literally: godfather) and adviser of Capoeira Reversão. Mestre Claudio is not just a friend, but also saw the whole journey in capoeira of Contra Mestre Macumba. We are sure he will give us the support we need.